Stephanie Lau hits a shot from the fairway. The sophomore will look to bounce back after finishing in a tie for 64th in the Windy City Classic. The schedule is about to pause for Northwestern, but not until it wraps up its fall season with the Stanford Intercollegiate this weekend in Palo Alto, California. The Wildcats are coming off a disappointing seventh-place finish at their home tournament, the Windy City Classic, and they’re hoping to rebound at Stanford. After the rough finish at home, NU went back to the basics in the past week and a half. In preparation for their home tournament, the Cats spent a great deal of time on the course. But ahead of the trip west, most of the team’s practice has taken place on the range and putting greens. That technical improvement will be necessary if NU is going to keep pace with the stacked field at Stanford. In addition to the hosts, ranked sixth in the country at the end of last season and runners-up at the Windy City Classic, the tournament features six teams who finished in the top 10 at the end of last year, including top-ranked UCLA. Besides these heavyweights, four more top-25 teams from last year will be in the 16-team field, including defending NCAA champion Washington. This time, however, the Cats won’t have home course advantage, instead taking on the top teams in the country over 2,000 miles from campus. Last year, NU took fourth at Stanford, 22 strokes behind the first-place hosts. Kim turned in one of her many impressive performances of the year, as she finished tied for fourth individually. 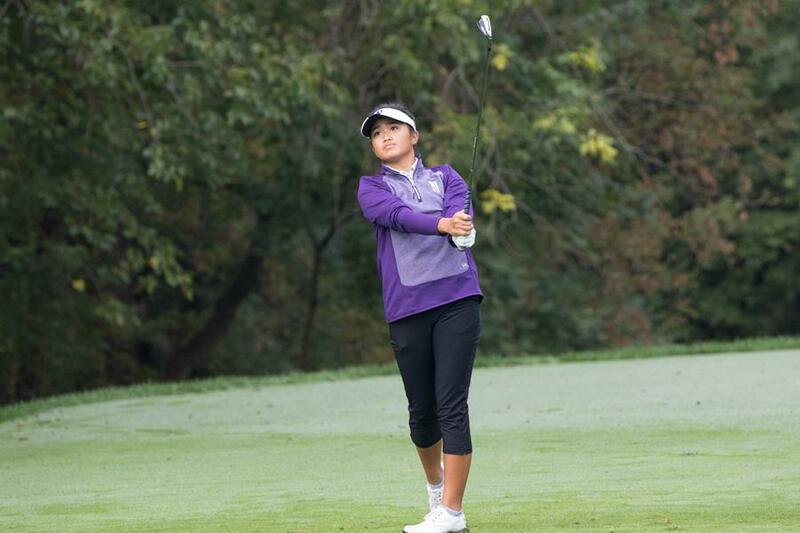 Kim is coming off an impressive seventh place individual finish at last week’s Windy City Classic and, after leading the Cats in last year’s tournament, she’ll have high expectations for herself. But golf isn’t the only thing on Kim’s mind this week.